Workplace acoustic issues can be highly disruptive and become a major problem, but most businesses don’t want to compromise on the aesthetics of the workplace in order to remedy them. We recently rectified the issue of technical reverberation for a client with fit-for-purpose Autex products, which are stylish and colour co-ordinated to fit any décor. The new Tweed Shire Council Call Centre consulted us on the issue of noise reverberation. As in all call centres, they have a number of people working within close proximity of each other, potentially all speaking on the phone at the same time, causing excessive noise. On inspecting the premises, we suggested the installation of Autex Acoustic panels, which not only decrease noise reverberation, echo and excessive noise, they also look great. 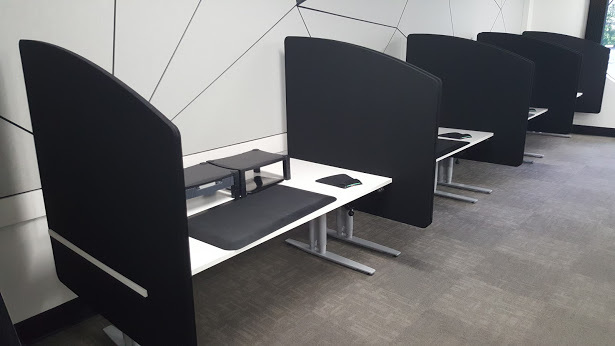 We used Autex 25mm “cube” panels on the desk dividers. The team at Tweed Shire Council designed the wall feature, and we custom-made it to that design. On the feature walls, we fitted Autex 12mm Vertiface, which can be used alone as a wallcovering or combined with Autex Interior Acoustic products for a high performing, sound absorbing solution. 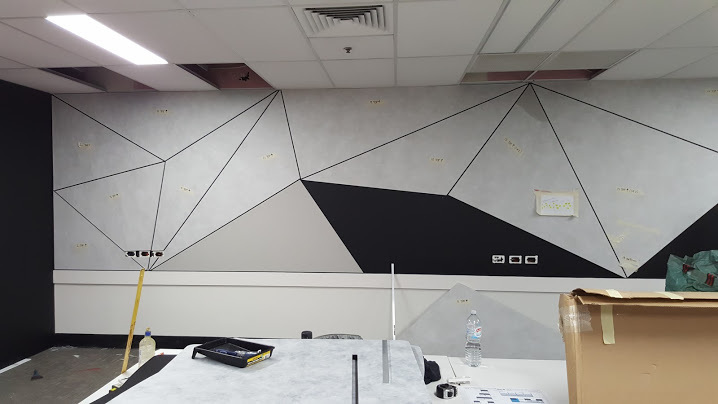 Some of the Autex Interior Acoustic products we can offer include: a Velcro hook and loop receptive surface which is great for education and commercial applications, Icons CustomCut – which provides limitless branding and design possibilities with in-house custom cutting. Autex also offers a recycled product which is manufactured using a minimum of 90% post-consumer recycled material – great for minimising your carbon footprint. The Autex designer colour palette ranges from bright to subtle colours which are on-trend and fashion-forward, and guaranteed to complement any décor. Please refer to the Autex website for the full range of colour options. Autex products offer practical noise reduction solutions for acoustic issues in offices, shops, classrooms, lecture halls, sporting facilities, libraries, clubs, cafes, restaurants, meeting places and any situation where you and your staff, clients or students would benefit from a reduction in ambient noise. We offer much more than commercial flooring at Master Flooring Solutions. 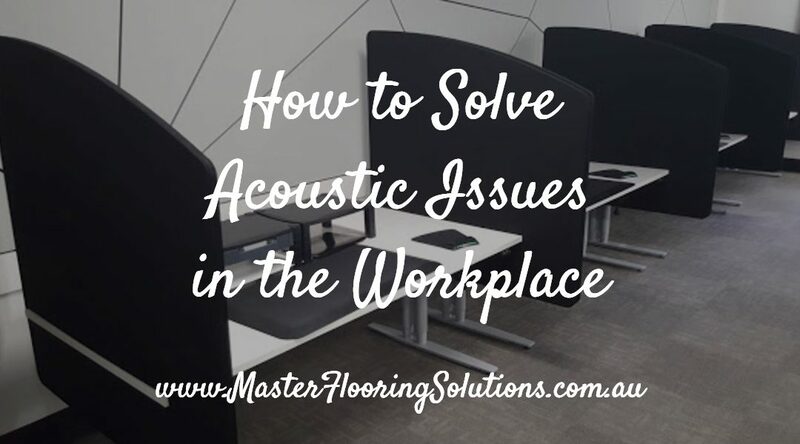 If you have any acoustic issues at your workplace, give Tony a call on 0405 702 422 to discuss your potential solutions.